Anyone familiar with Twitter likely knows that shorthand is often used to circumvent the current 140-character limit. What you may not know is that Twitter's character limit is more prohibitive to some languages than others. 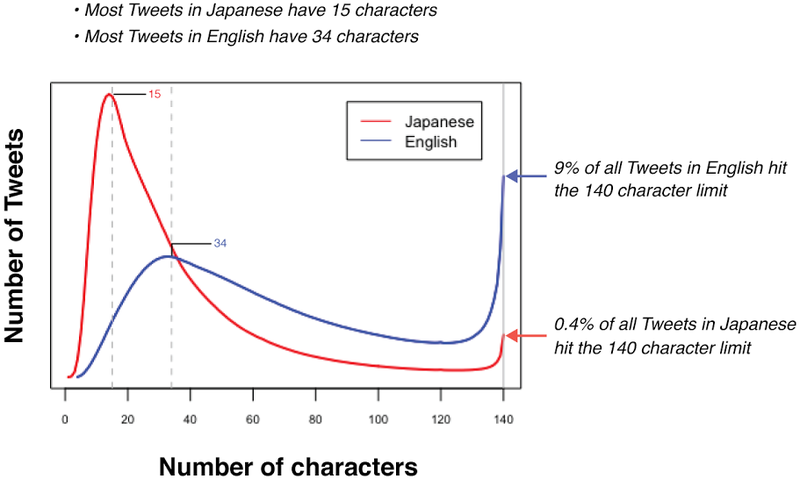 Twitter has collected and analyzed the average length of tweets in English and Japanese to attempt to show that English messages require a greater number of characters. The short study does not mention whether there are any cultural factors contributing to the results. With languages using symbolic characters like Chinese and Japanese, it's possible to convey nearly double the amount of information per character versus other languages such as English and Spanish. This means that only half as much information can be crammed into the same size message. 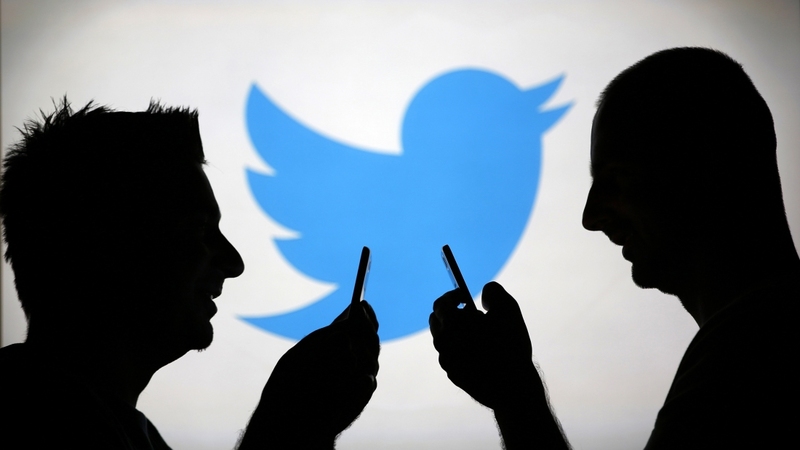 In an attempt to address the shortcoming, Twitter is experimenting with 280-character tweets among a small group of users. 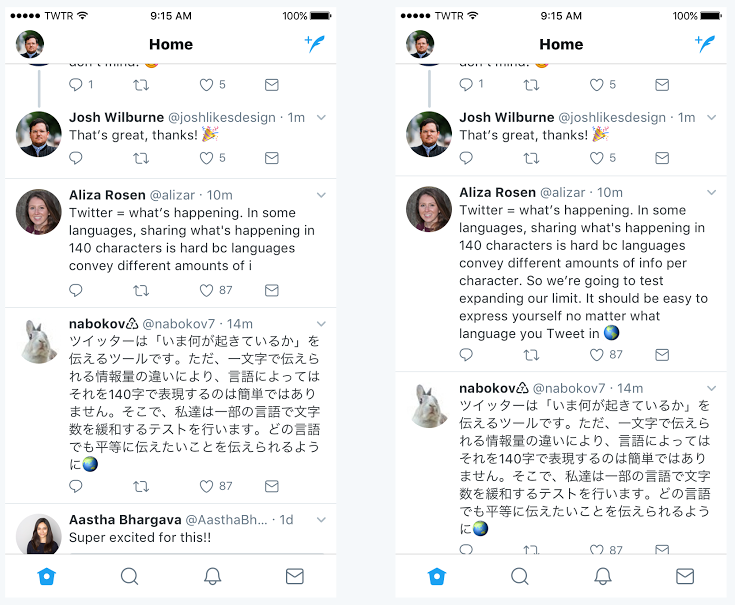 Even though English users may eventually see an extended character limit, Twitter still wants to remain known for posts that "get right to the point with the information of thoughts that matter". As a result, Japanese, Chinese and Korean users may continue to be limited to the current 140-character limit. On the surface, there are many positive aspects to allowing for more detailed messages to be shared. But, is that necessarily true? Should the microblogging platform extend the character limit to allow for more detailed tweets or is the brevity of Twitter part of its charm? There are times when I am a few characters over and then I end up having to butcher what I was trying to say with appropriate grammar. liammac002, Kotters and Agnomen like this. liammac002, Reehahs, wiyosaya and 1 other person like this. That should appeal to the gibberish speakers. Would be better if they lowered it down to 1.